Most of my experiments with natural dyes have been straightforward – collect the dyestuff, extract the dye with heat and water, and simmer the fibres in the dye. I have used alum as a mordent to make the dye more permanent, but until now, I have not used modifiers to change the colour of the dye. Modifiers include various substances added to modify the chemistry of the dye solution and change the colours obtained. Iron is one of the most commonly used modifiers. To modify colour with iron, the dyer can use ferrous sulfate as a powder. Or rusty iron can be used to make an iron acetate solution. 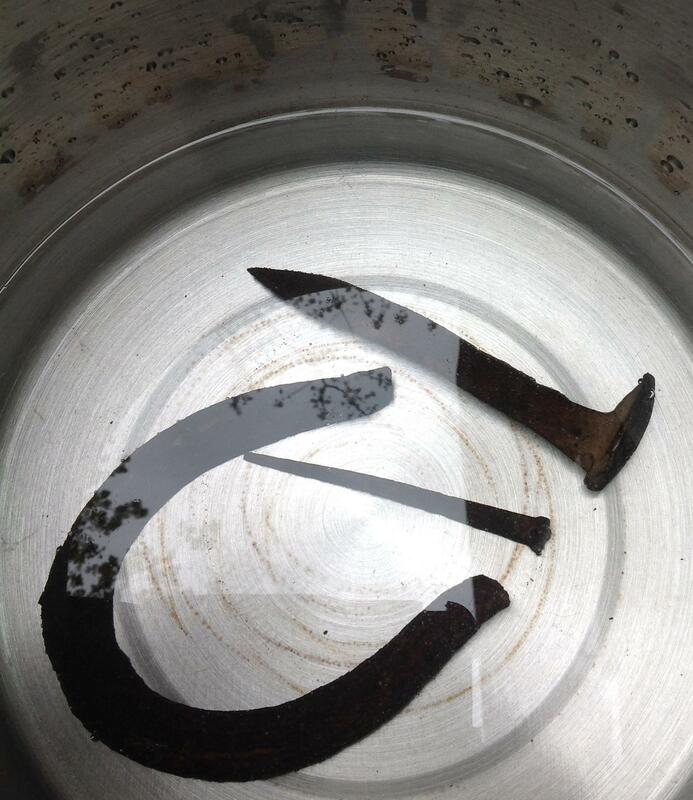 To make my iron modifier, I put an old horseshoe, a square nail and a rail spike in a pot, added some vinegar, and soaked the metal in rainwater for a month. Simmering the wool roving with water and dyestuff of Meadowsweet gave the wool an apricot colour. Then I added a couple of liters of my iron mixture to the dye pot and a new length of wool roving. The second lot of wool turned out darker than the first. Dyers refer to this as ‘saddening’ the colour. 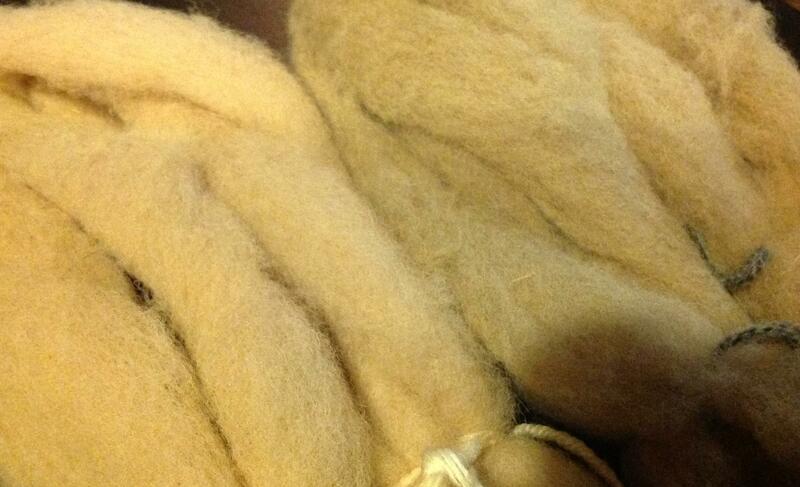 The wool was also more coarse and after I had spun the wool, my hands were stained with a reddish rust. Next post, I will show you the surprising results when I add my iron modifier to dyestuff of oak leaves!